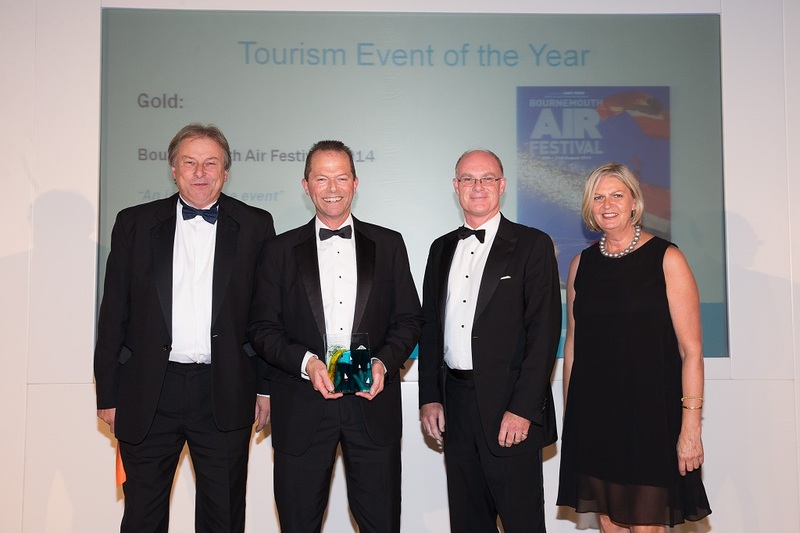 Bournemouth’s world-famous Air Festival has been given the prestigious accolade ‘Event of the Year’ at this year’s Dorset Tourism Awards and now qualifies for entry into the South West England Awards. Holding off competition from other popular Dorset events, Purbeck Folk Festival and Sherborne Abbey Festival, the Air Festival’s record-breaking visitor numbers, significant contribution to the local economy and employment generation were key factors in the nomination. The award was presented at a ceremony last night in Bovington’s Tank Museum with judges citing the Air Festival’s ‘impressive wow factor’ as a key consideration in their deliberations. Tourism portfolio holder, Councillor Lawrence Williams, said; “We’re thrilled to receive this award in recognition of the hard work and passion that goes into putting on the largest air festival in Europe. “There are countless people who contribute to the success of the Air Festival, ensuring that it’s much more than just an air show – rather, a unique, world-class event comprising a host of land, sea and air assets, three miles of show ground, pier-to-pier trading stalls and night air entertainment. I’d like to thank our Festival Makers in particular who give up their time with dedication and enthusiasm. The Air Festival now proceeds to the regional South West Tourism Awards and, if successful, will go forward to the National Awards. Bournemouth Air Festival took place between 28th and 31st August this year, attracting over 1.2m festival-goers, generating in excess of £25m for the town and creating over 350 full-time jobs. For details of next year’s festival, visit bournemouthair.co.uk.